PRESS RELEASE-Firm Name Change, New Associate, Board Appointment | Pleat & Perry, P.A. DESTIN, Jan. 18, 2013 --- Pleat & Perry, P.A., a full service law firm with offices in Destin, Navarre and Rosemary Beach, announces that it has changed its name to PLEAT, PERRY & RITCHIE, P.A. effective January 1, 2013. The firm's name change recognizes the many years of hard work, community service and leadership of partner William J. “West” Ritchie who has been a partner since January, 2005. In addition, the firm announces that Robert R. “Bob” Klostermeyer has joined the firm’s Destin office. Born in Cleveland, Ohio, Mr. Klostermeyer received his academic degrees from the University of Florida College of Business Administration (1980) and the University of Florida College of Law (1983). 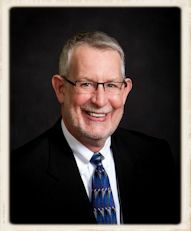 Following a career as an attorney in Florida, Bob spent 22 years in higher education before recently returning to Destin. He is an accomplished educator, public speaker, and attorney. He is licensed to practice in both Florida and Missouri and will concentrate his practice areas in Community Association Law, Municipal Law, Civil Law and Juvenile Law. Theresa Stucki, Paralegal, has been named to the Shelter House, Inc. Board of Directors for 2013-14. The Shelter House, Inc. is a not-for-profit organization serving the survivors of domestic violence and their children throughout Okaloosa and Walton counties. Its goal is to break the cycle of domestic violence by providing support, including emergency shelter to victims of domestic violence; education and advocacy; and to promote community awareness. Shelter House provides its clients with a wide array of services which allow them to escape danger and start a new life. Shelter House is supported by the community through volunteers, memberships, contributions and fundraising events. To find out more about Shelter House visit www.shelterhousenwfl.org. The experienced lawyers at Pleat, Perry & Ritchie, P.A. may be reached at (850) 650-0599 or law@pleatperry.com. 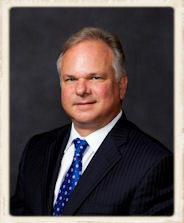 To learn more about the firm, please visit its website at www.pleatperry.com.